Explain that in 1956 Benjamin Bloom chaired a committee of educators that developed a hierarchical way of classifying the way that people learn. Since then, ‘Bloom’s taxonomy’, as it became known, has been revised by other educators and psychologists. In the 1990s Lorin Anderson and David Krathwohl were amongst those who came up with the hierarchy of learning objectives that it the subject of this session. 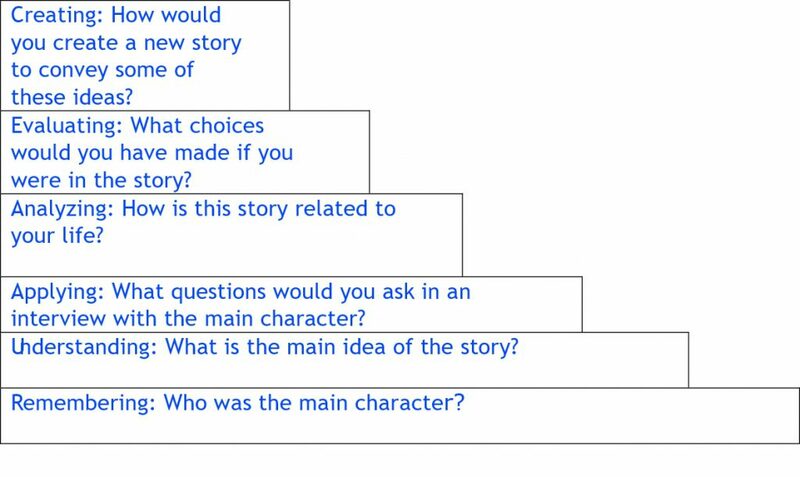 Show the students the ‘Anderson & Krathwohl’ model below, with the descriptions of skills that might be used at each ‘level’. 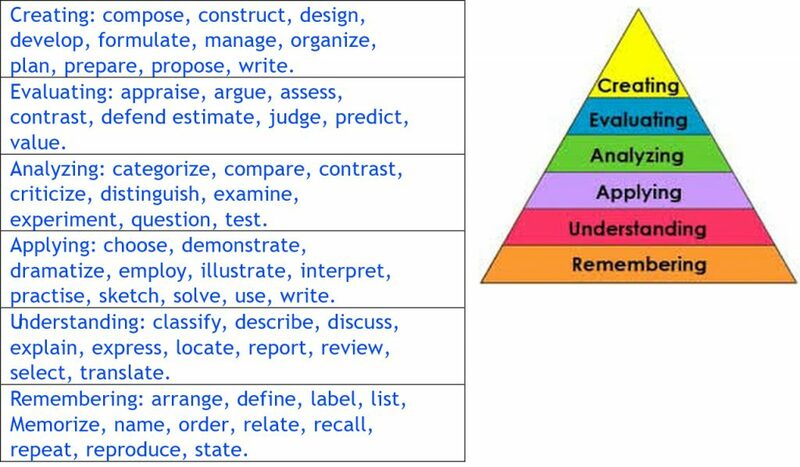 Explain that this Taxonomy can be thought of as a pyramid, with simple knowledge-based recall questions at the base, building up to increasingly challenging questions that test comprehension of a given material. In what ways are the skills of ‘remembering’ simpler than ‘understanding’? Why is ‘evaluating’ more complex than ‘applying’? Is creating really more difficult than analysing? How does Bloom’s Taxonomy help you to think about thinking?